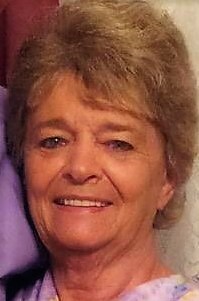 Mrs. Sharon Kay Brock, age 76, of Niceville, FL went to meet the Lord on Thursday, March 28, 2019 at Fort Walton Beach Medical Center. She was born November 7, 1942 in Columbus, KS, to the late Howard and Edith McDaniel. This beautiful lady was married July 3, 1958, in Reno, KS to the handsome Donald Levi Brock. She enjoyed being a mom to her 6 children and anyone else who would let her. She enjoyed crafting, making photo albums, and playing games with anyone who would play. She loved to go fishing. She is survived by her husband of 60 years, Donald Levi Brock; Children: Kris Brock of Oskaloosa, KS; Brad (Penny) Brock of Linwood, KS; Glenn Brock of Pasadena, TX; Darren (Brandy) Brock of Kansas City, KS; DeAnna (Martin) Klamm of Parsons, TN; and Dennis Brock of Kansas City, MO. She had 19 wonderful grandchildren and 19 lovely great-grandchildren. Surviving siblings are: Ellen Grammer of Baldwin City, Sandee (Jim) Atkinson of Spokane, and James (Sue) McDaniel of Lawrence. Special adopted family: Jason, Jamie, Madyson, and Killian Clampitt. She was preceded in death by her sister, Jaunita McDaniel, and parents: Howard and Edith McDaniel. Visitation will be held on March 31, 2019 at the Niceville church of Christ from 1-2 pm with the funeral immediately following at 2 pm. Service will be officiated by Brother Joe Palmer. A memorial service in KS will be held at a later date. In lieu of flowers, please make donations to the: Niceville Church of Christ Benevolence Fund at 801 E. John Sims Parkway, Niceville, FL 32578. Thanks to the Davis Watkins Funeral Home, the church family and all those who loved and cared for this wonderful Christian woman, wife, mother, grandmother, sister, and friend.